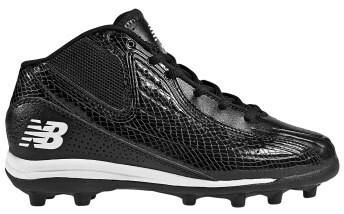 Mid-cut football cleat for youth players. EVA midsole cushioning for support and to keep kids comfortable. Synthetic/mesh upper provides lightweight comfort and support. Rubber sole unit with multi-directional lugs increases durability and traction.